In 1953, the young automaker introduced the SEAT logo in the form of a winged coat of arms, on which the font name of the brand was placed. Fortunately, four letters could be placed in such a way that they could be read perfectly even in a limited space. However, already in the version from 1962, all the signs of conservatism – both the wings and the form of the emblem – disappeared completely, making room for a unified font logo that retained only a single basis for all letters. The version from 1968 acquired a round form, in the center of which there still remained a font element, and surprisingly similar to the original one. However, after two years the circle disappeared, and each letter acquired its own square background-base. 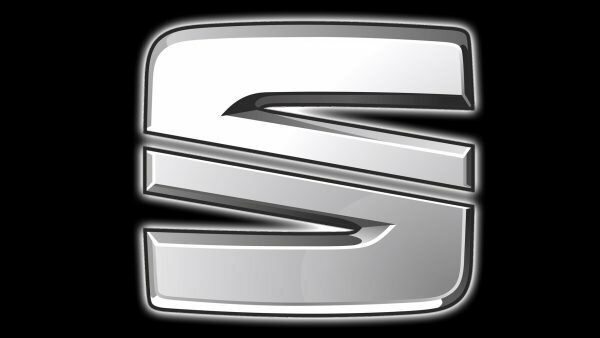 And only in 1982 appeared the prototype of the modern logo, the central element of which was the stylized letter S.
When in 1982 the brand radically changed its logo in favor of the stylized letter S with five diagonal lines instead of the central composite element, many experts and critics saw in this image an allusion to the international designation of the dollar sign. And although this analogy was at least weak, the company’s management rushed to dismiss this version. 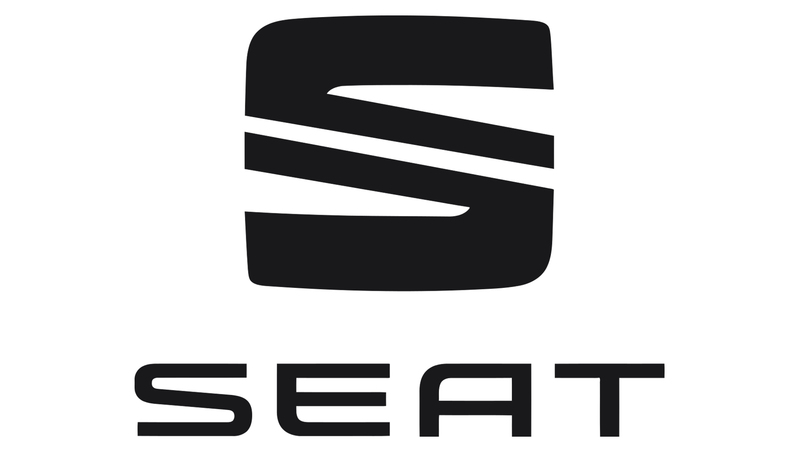 The first SEAT logos were different for their vertical type. “Slender” letters were conveniently placed in the design of the logo, but already in 1970 the approach to the font changed. The letters became more impressive, and the ratio of their height and width aligned. The thickness of each line also increased. This was done simultaneously to improve the perception of the logo, and to create a more impressive form. Not burdening themselves with color delights, the creators of the logo until the last decade completely went for monochrome structures based on silver or gray. And only in the version from 2012 the brand name acquired a red color, while the main letter, consisting this time of two vertically symmetric designs, remained silvery and voluminous.